The park, the crack of the bat, umps making bad calls, managers doing their best to make the umpires look good. (Seriously, you don’t make the last out at third.) Ahh, baseball. It is a communal sport to me at this point. I’ve long since stopped watching it on television. I don’t follow standings or stats or side stories of any league at any level. But I will go to the park to watch a game. And I’m always pleased to do it if there are people around I know a little bit. Mostly, though, I go for the peanuts. 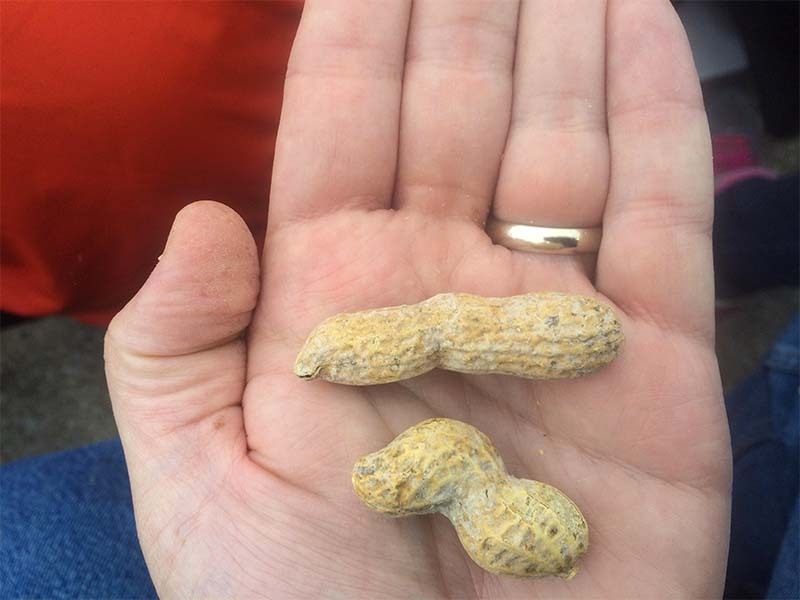 Peanuts are usually a springtime food for me. But I had a few today, and that seemed like something to take a picture with. This is the other side of having a camera in your phone. It sometimes creates the opportunity for an uninspired pic. I would have never brought my Canon to my eye, let alone changed the aperture or adjusted the shutter speed for that snapshot. But, it allowed me to get a few sentences on sport and legumes, so there’s that. Here’s the podcast I recorded yesterday. This is with one of my students, and the features editor of the Crimson. He’s my first student guest on this program. Hopefully the first of many. Jimmy did a great job and this episode shows how easy it could be for others interested in such a conversation. If you like movies, you’ll find this a very interesting chat. And, he said, his mother was proud to hear it. Hi, Jimmy’s mom! Check it out. It’ll be all downhill from there. This entry was posted on Thursday, October 8th, 2015 at 10:04 pm	and is filed under journalism, movies, photo, podcast, Thursday, Twitter. You can follow any comments to this entry through the RSS 2.0 feed. Both comments and pings are currently closed.